Hague Fasteners’ continued growth in a saturated industry is, in no small way, down to the persistent policy of bringing in the next generation of young and hungry school leavers yearning to earn a trade in one of the countries booming industries. 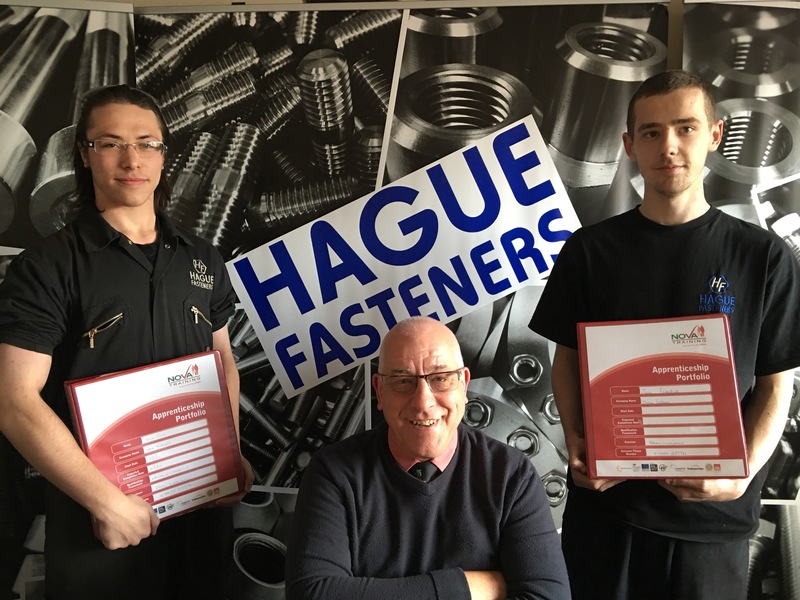 Hague Fasteners are serious investors in the local youth, with a strong focus on taking the young men and women from local schools and colleges and giving them a solid foundation in engineering through The Hague Fasteners Apprenticeship Scheme. With the expert assistance and training given by NOVA training in Willenhall, Hague Fasteners are proud to see the investment in young people paying off as two of their more recent trainees, Hayden Smith & Jamie Fitzpatrick, blossom in their roles within the busy Engineering manufacturing facility at Hague Fasteners. Both Jamie and Hayden are now approaching their one year apprenticeship completion date and the skills they now bring by being molded into the ‘Hague Fasteners way’ is a massive boost to the Company. Both youngsters are working to improve the companies despatch department and their freshness ensures Hague never rest on their laurels and that every aspect of the business is encouraged to improve. Apprenticeships continue to be The Hague Fasteners Focus, proud to be different and standing out from the crowd. providers NOVA Training. 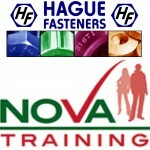 Alan Williams, one of NOVA’s Training Providers, attends regularly to check on the progress of the Hague Fasteners Youngsters. Hague are proud to be supporting the local youth and look forward to continued close working with NOVA Training as the company continues to blossom with youth investment and training.